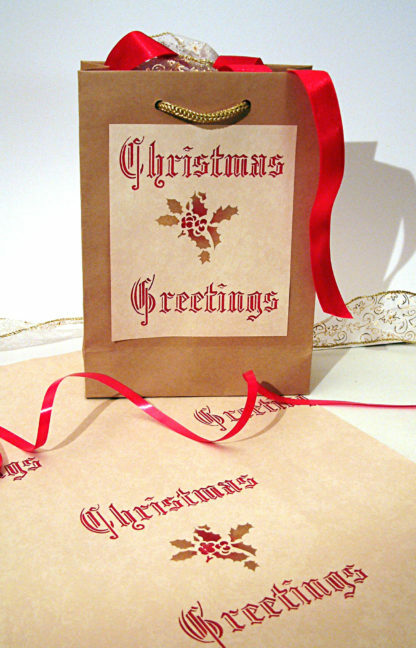 The Christmas Greetings Stencil is a versatile stencil for Christmas decorating projects. 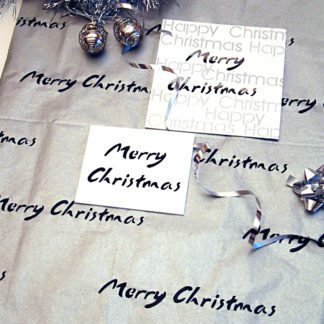 Use on its own to decorate a host of different festive items such as wrapping paper, Christmas cards and paper napkins, or use in conjunction with the other Motif Christmas Stencils to add a greetings message to pictorial decorations. 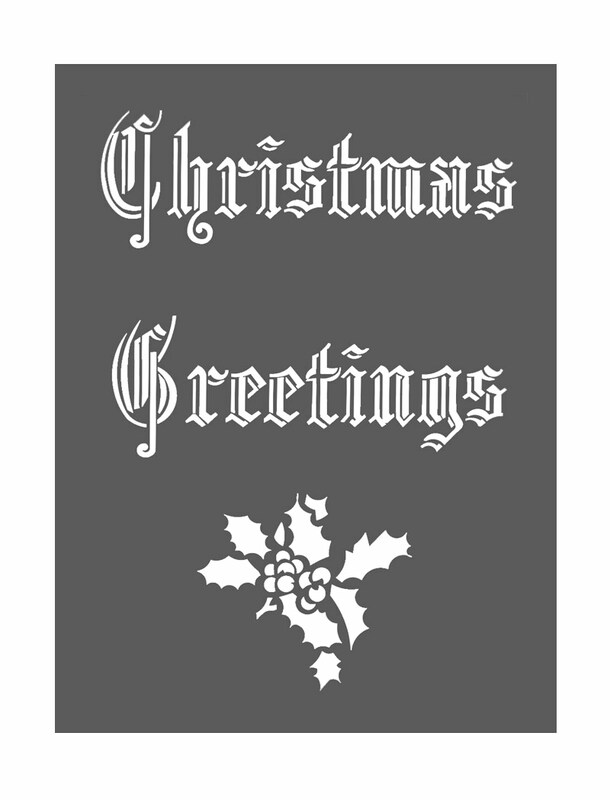 Also see our Christmas Calligraphy Stencil, for different lettering styles. Try the Motif range of Metallic and Glitter Stencil Paints to add extra sparkle and lustre to your festive creations! Above top – the Christmas Greetings stencil applied to wrapping paper and gift bag in Very Berry Stencil Paint and Antique Gold Metallic Stencil Paint. 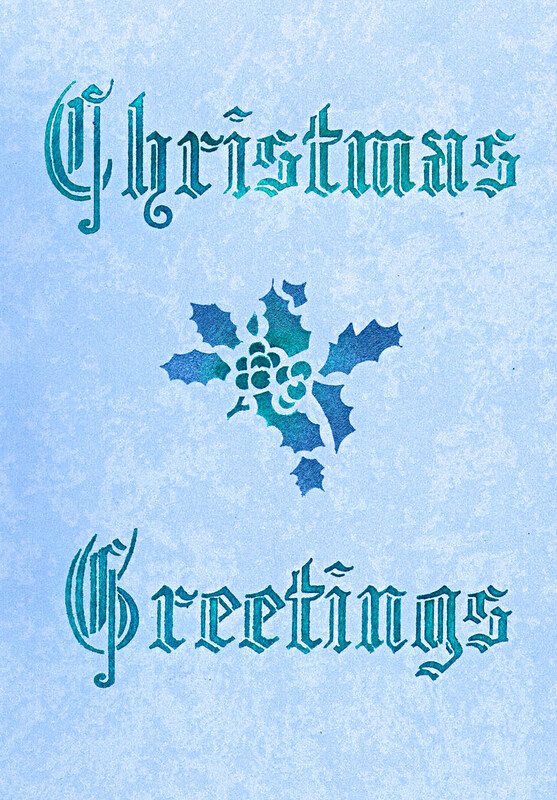 Above – the Christmas Greetings Stencil in Paradise Blue, Sea Green Stencil Paints and Rainbow Glitter Paint highlights. 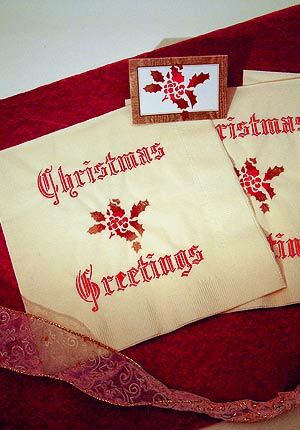 Above – the Christmas Greetings Stencil stencilled onto party napkins and place card in Very Berry Stencil Paint and Antique Gold Metallic Stencil Paint. 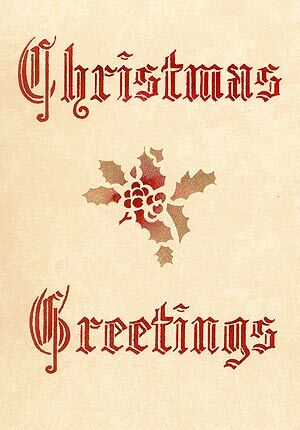 Above – close-up of the Christmas Greetings Stencil in Very Berry Stencil Paint and Antique Gold Metallic Stencil Paint. 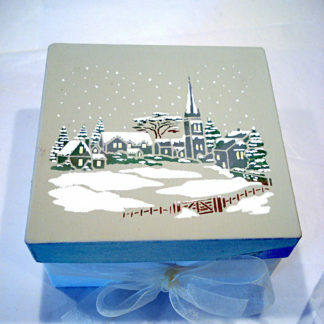 One layer stencil, with calligraphy and holly motif. The average height of the letters is 18mm. 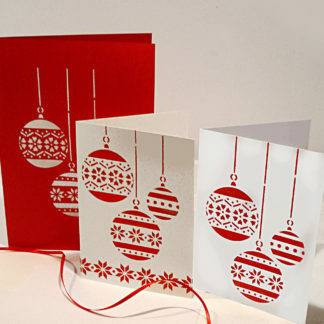 The width of ‘Christmas’ is approximately 12cm (4 3/4″).